Don't forget to use our group code "Nashville2600" when you CALL! 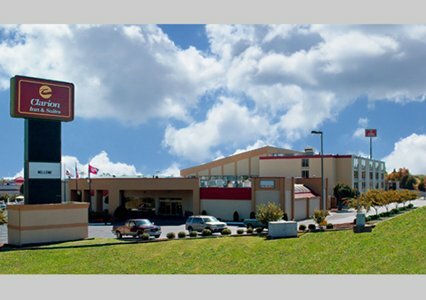 PhreakNIC 20 will be held at the Clarion Inn in Murfreesboro, a half-hour drive southeast of Nashville. We have a room rate; please state that you are part of the "Nashville2600" group when making your reservation. Reservations can be made by calling (615) 896-2420. Using our group rate also helps us offset the cost of the convention space. There are 7 other hotels within the vicinity which can serve you should the Clarion sell out. For example, Microtel Inn & Suites, Best Western Chaffin, and Fairfield Inn & Suites are all within a stone's throw of the Clarion.